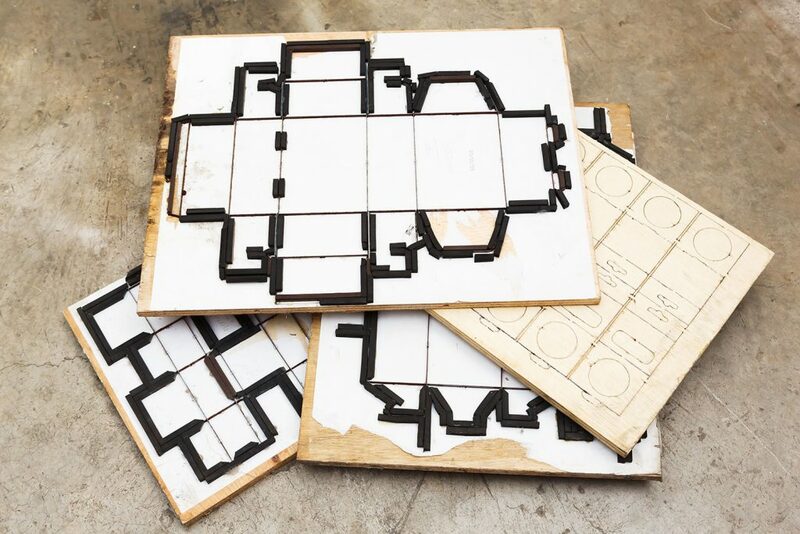 Die cutting is a popular manufacturing process in which a die is utilized to create shapes, designs, and patterns in various low-strength products such as wood, sheet metal, foam, corrugated fiberboard, fiber, paperboard, cloth, and a whole host of other materials. The die cutter is a machine that shapes a particular material into the desired shape. Die cutters are used by businesses to create unique, custom packages that are associated with a brand. Dielines are used to outline the final product before moving forward with the cutting. Die cutting has its origins in letterpress printing and it evolved to become a more specific manufacturing process. In letterpress printing, a printing plate is used whereas in most die cutters, a high wood mounted steel cutter is used as a die. The shape is designed according to user specifications. Die cutters are highly versatile and they can be used to craft a particular material into almost any shape as long as the machine is capable of creating those shapes. Die cutters are available commercially and are pretty easy to learn. After learning how to use a die cutter, you can basically shape any product you want, provided the cutter is strong enough. In order to create a die cutter, die cut blades need to be mounted on a strong material and designed into a pre-determined form. Understanding and visualizing the kind of die cutter is important before you create it. You can have a die cutter with multiple blades to create a large number of cuts with one press or a cutter with a single blade to cut through multiple layers of material at once. The process of die cutting involves a high level of attention to detail and meticulous skill that is not easy to master. Blanking: This is a process by which flat material is sliced by clipping it from its exterior edge. Blanking produces an accurate degree of flatness. Drawing: This technique pulls material to a pre-determined length. It is used to create lean and long products. Forming: Forming shapes the raw material on a curved surface. It is normally used in tandem with drawing to construct round cylindrical parts. Coining: This technique is utilized to make circular holes in materials through the application of pressurized force. It is often used to create meticulous and complex product features. Broaching: This form of die cutting requires the use of a multiple number of large rows of cutting teeth to cut materials that are normally too hard or thick to be cut by other means.